Reduces limit on deductible mortgage debt to $750,000 or new loans taken out after 12/14/17 (from the existing $1,000,000). Current loans up to $1 million are grandfathered. Homeowners may refinance mortgage debts existing on 12/14/17 up to $1 million and still deduct the interest, so long as the new loan does not exceed the amount refinanced. Repeals deduction for interest paid on home equity debt through 12/31/25. Interest is still deductible on home equity loans if proceeds are used to substantially improve the residence. Interest remains deductible on second homes but subject to the limits. There was concern that the state and local tax deduction (which includes property taxes) would be eliminated. That didn’t happen. The final bill allows an itemized deduction of up to $10,000 for the total of state and local property taxes and income or sales taxes. There was concern that owners would now need to live in their house for at least 5 out of the last 8 years to claim this exemption. Under the former tax framework, a typical owner, who has lived in their house for at least 2 years out of the last 5 years, would pay nothing in capital gain taxes if they sell the house. No change. The new code will remain the same as the old. TAX CUTS AND JOBS ACT The final proposal put up for a vote by the Conference Committee. H.R. 1 – The Tax Cuts and Jobs Act The National Association of Realtors’ (NAR) Issue Brief. More information on other aspects of the bill. What will be the impact on the real estate market? The tax bill could raise the net costs of buying. But, given most households will see an overall tax cut, and potential buyers are likely to put that saving towards their home, we doubt it will have a significant detrimental impact on the housing market. Most households stretch themselves when buying a home, and to the extent that the new code will cut taxes for most households, the overall change could be positive for the housing market. The impact on expensive homes could be more detrimental, with a limit on the mortgage interest deduction raising taxes for that itemize. The impact of reducing the MID from a maximum of $1 million in mortgage debt to $750 thousand in mortgage debt will have a very little impact on the housing market. State and local taxes (SALT) will have an impact on housing in some areas. Some people might choose to live in one state over another (if they have a choice), based on taxation. This could impact demand in certain states – especially for the middle and upper-middle class homeowners. The corporate tax cuts (and other tax cuts) will mostly benefit the wealthy, and this will be a positive for the high-end real estate. There will be some negative impact based on SALT, but overall the impact of these policy changes on housing will be minimal. House prices suffer under the tax plan. The tax law changes significantly reduce the value of the mortgage interest deduction, or MID, and property tax deductions, which are capitalized in current house prices. Higher mortgage rates that result from the higher budget deficits and debt under the plans will weaken housing demand. The hit to national house prices is estimated to be near 4% at the peak of their impact in summer 2019. That is, national house prices will be approximately 4% lower than they would have been if there were no tax legislation. The impact on house prices is much greater for higher-priced homes, especially in parts of the country where incomes are higher and there are thus a disproportionate number of itemizers, and where homeowners have big mortgages and property tax bills. The impact on the broader national economy of the higher stock prices and lower house prices is largely a wash.
Tax Bill Raises Concerns About Homeownership Early consumer reaction to the new Tax Reform legislation and how it may affect their buying and selling decisions. Examples of How The New Law Will Affect the Tax Incentives of Owning a Home Early consumer reaction to the new Tax Reform legislation and how it may affect their buying and selling decisions. Which Local Housing Markets Would Be Most Impacted by the GOP Tax Plan? The new tax code includes two changes to the income tax structure that could potentially have significant impacts on homeowners, and by extension the housing market. On this site, ATTOM Data Solutions created two heat maps to illustrate which local housing markets could have the most homeowners impacted by these changes. Tax plan to impact at least 11 percent of Southern California home buyers This article takes a deeper dive into the impact on Southern California the below data from the ATTOM site. How New Yorkers Would Lose Under the Republican Tax Bill This article takes a deeper dive into the impact on NYC and the surrounding region. Could tax reform actually be good news for housing? This article explains that one expert believes tax reform could increase the supply of homes by reducing federal tax subsidies. How the Tax-Cut Bills Could Affect Homeownership This article from Consumer Report talks about the possible impact on both buyers & sellers. Deduction Rollback Hurts High-Tax States, But Exodus Isn’t Assured (WSJ subscription required) A great analysis of how taxes affect where people decide to live. Please read disclaimers at the bottom of this page. How Tax Reform Impacts Homeowners in Each State This site, run by NAR, hopefully, will be updated now that the tax reform bill has become law. It gives you state-by-state data on tax deductions, capital gains exemptions, and the potential impact on housing prices from the 2017 tax reform framework. You can download information for your state by clicking their map. Which Places Pay the Most in Property Taxes? This site gives you an interactive map where you can find the median property taxes by county. Reforming the mortgage interest deduction: A chance for fairness for American taxpayers? This article gives the argument for why the changes made sense. We are not saying we agree so please don’t attack us for the content. We just want you to better understand the other side, so you are prepared for those conversations. Disclaimer #1: This page is not meant to be a resource for tax advice but instead a resource for basic information concerning the aspects of the new tax code and how it may impact the real estate market. Our views herein provide broad guidance to the industry. The specific impact on each individual and property will vary. Therefore, your clients and customers should get tax advice from their accountants or financial advisors who will explain how the entire tax code will affect their personal returns. Disclaimer #2: We wanted to get this information to you as soon as there was a final bill presented to the President to sign into law. Some of the commentaries on this page may be revised as the analysis of the bill and future law evolves. As further clarification of the new code and deeper analysis becomes available, we will update this page. Update #1: It seems that the President may wait until the New Year to sign this bill into law. As such, there may yet be negotiations that take place which could impact the bill itself or the bill’s impact on housing. We will be keeping a close eye on official changes and will update this page if necessary. 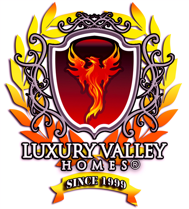 Read more about the Luxury Valley Homes team. USAA – Do they support Service Dogs?